Balfour Aralia (Polyscias scutellaria) also known as the dinner plate plant is very fashionable and modern for the home or office. The plant is named for its large round, scalloped leaves that resemble saucers. The leaves may be the solid glossy-green or variegated aralia which is edged in white. 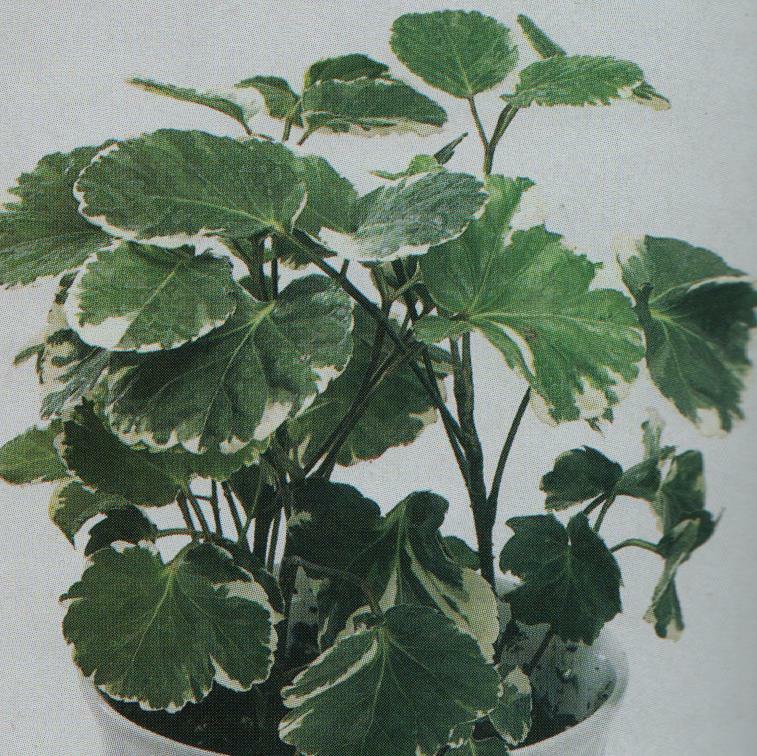 Indoors, this plant adapts well to both high and medium light; however, variegated type leaves need high light exposure. It is a fantastic looking plant that is valued for its beautiful foliage, which come three leaves to a stem on a study trunk. In addition to its beauty, it also purifies your indoor air and adds moisture to the air. Being native of the South Pacific islands, these plants thrive in warm conditions with high humidity; therefore, care should be taken to create the optimum growing conditions. With ideal conditions it can grow as tall as 6 feet high and 3 feet wide indoors; unfortunately, it likes to stay put, as moving it to a new location will cause the leaves to drop. They are easy-to-grow in medium light, but will grow faster and lusher if you keep your plant in a bright spot. You must use a peat-based, well-aerated, light soil to allow fast draining to prevent water from accumulating in the soil and causing the roots to rot. Good humidity is also necessary for growth and development as Dry air to low humidity causes the plants to drop leaves as well. You don't need to repot this plant every year; however, it benefits greatly when repotted every two years in a container a couple of inches wider than the previous one. Your pot must have drainage holes to allow excess water to run off. Instead, refresh the soil during the spring by replacing the top 2 to 3 inches with new potting soil. For decorative purposes, aralias make excellent indoor trees. The upright growth and narrowness of the width of this plant allows it to fit perfectly in an empty corner. It can also be maintained as a bonsai plant. Place the small potted plants on a ledge, desk, or a tabletop. Light: Provide filtered sunlight (near bright window). Temperature: Keep 65-85 degrees F. out of cold drafts. Humidity: Place the plants on a humidity tray of pebbles and water, or use a room humidifier for best results. Fertilization: Feed every 2 months during the summer and spring growing season with a granular, controlled-release fertilizer. Grooming: Clean monthly and prune the tips frequently to promote the growth of new leaves and to help maintain its full, lush appearance. Note: The Balfour Aralia is poisonous and can make children or pets ill if they chew or eat it.